Our motto is 'Guidance, Insight, & Understanding' - and we believe in it and you. A.R.P. Counseling, located in historic Olde Town Conyers, Georgia, offers DUI and drug evaluations, marriage and family counseling, drug and alcohol treatment, and counseling services and therapy for a wide range of issues, including sexual abuse, depression, anxiety, grief and loss, and other life transitions. Our goal is to help you find the courage, inspiration, and strategies to make your life’s goals a reality. Life does not come with an instruction manual. Our highly qualified Licensed Professional Counselors assist ADULTS, CHILDREN and FAMILIES with a variety of concerns. A.R.P. Counseling is skilled and has a dedicated clinical staff that is excited and eager to assist in your recovery. The most significant factor affecting your treatment outcome is your full engagement in treatment, starting with the renewed hope that a healthier, more stable, future is possible. We offer something different - a different approach - a different kind of team. 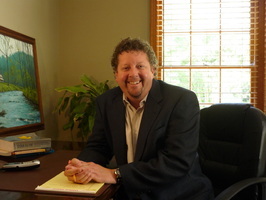 Jim Morton, LPC has been practicing in the greater Atlanta area for over 20 years. He specializes in the evaluation and treatment of children and families, especially those involved in State or Juvenile court systems. services for all ages. Services include domestic violence intervention, anger management, mental status & mental health screening, Employee Assistance Counseling, and DUI Clinical Evaluation. Jim provides Guardian ad Litem services in the Rockdale and Alcovy Judicial Circuits. He has worked extensively as a Court Appointed Special Advocate in Rockdale Juvenile and Probate Courts. He is an in-network provider for Aetna, BCBS of Georgia, and Cigna. A.R.P. Counseling provides ASAM Level One (short-term and long-term) Alcohol and Drug treatment classes, approved by the Georgia Department of Driver Services for re-instatement of driving privileges. Jim works closely with attorneys, probation officers, teachers, and school counselors to ensure each client’s needs are met.